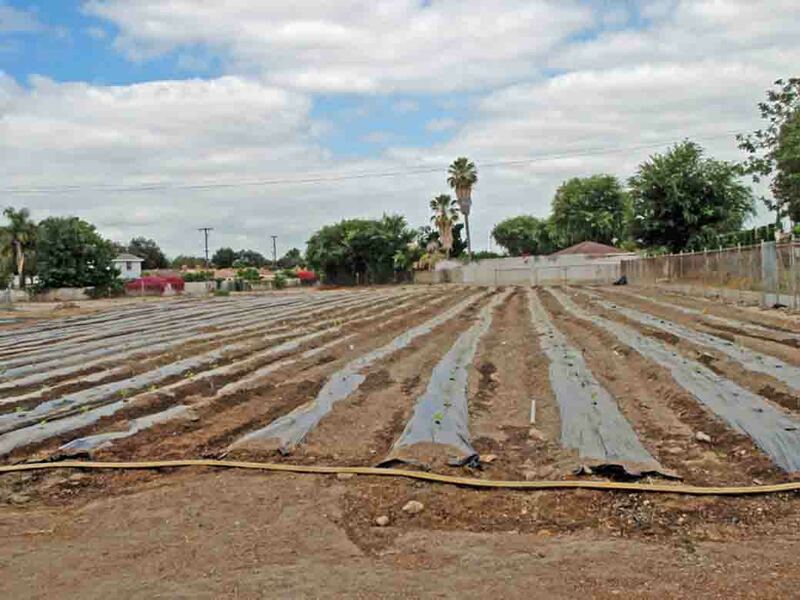 The almost one-acre pumpkin patch at Buena Park High School (BPHS) is now sprouting fledgling pumpkin plants. The land had been fallow and unused for years. Agromin is a sponsor of the BPHS ag program. Its crews removed a layer of soil from the patch, tilled the remaining soil to break it into small pieces and then tilled in over 20 tons of Agromin premium soil amendments. In just one day of hard work, the fallow ground became perfect for planting. Samantha Valverde, ag manager at the BPHS farm, directed students while they did an incredible job planting Mystic Plus and Magic Lantern seeds. Not surprising, 99.9 percent of the seed sprouted. The students hope to harvest over 1,500 pumpkins for the BPHS ag program. They plan to sell the pumpkins as a fundraising project as well as deliver free pumpkins to surrounding elementary schools in October. Stay tuned for more updates on the BPHS/Agromin pumpkin patch progress and watch it grow!